Are you concerned about Crestone’s proposed CDP for our area and its impact to our environment? Begin to develop a plan for community participation in this process. Matt Sura, an attorney who represents land owners, mineral owners and local governments, will walk us through the CDP processes and COGCC rules. He participated in a task force that initiates the work in developing Rule 216 Comprehensive Development Plan. In February 2017, Crestone Peak Resources Operating LLC filed an application with the Colorado Oil and Gas Conservation Commission (COGCC), for approval of a “Comprehensive Drilling Plan (CDP)” in eastern Boulder County. 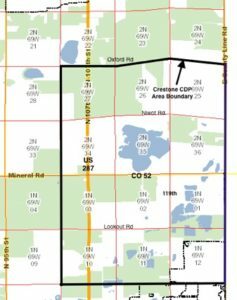 A CDP, under Rule 216 of the Colorado Oil and Gas Rules & Regulations, is a preliminary step toward oil and gas development throughout a large area; in this case, the CDP covers 12 square miles in eastern Boulder County as shown in the map below. Per the application, Crestone intends to develop of the plan over the next 6-9 months, with input from local governments, state agencies and affected landowners. It calls for the development of a maximum of 216 wells divided among 6-18 separate well pads in the CDP area, using hydraulic fracturing, and horizontal drilling technology. These are likely to be large, multi-well sites that are similar to the ones that we see in numerous places in Weld county. On May 1st, COGCC approved the application for the development of the CDP. At the same time, Crestone, 8 North LLC and Kerr-McGee agreed to a nine-month voluntary standstill on filing of any permit applications within the CDP area. The final CDP is expected to be presented for COGCC approval in February 2018. Boulder CDP Citizens Alliance is a group of landowners in the 12-square mile area. We intend to work together, not only with our neighbors but also with Crestone, COGCC and Boulder County to influence the location of the well pads and ensure that best management practices are enforced during the construction and on-going operations to minimize the disruption to our local quality of life, the health and safety of our communities, the impact to our environment, including the area’s open space/agriculture land. Have a seat at the table in the Comprehensive Drilling Plan negotiations with the Operator (Crestone), the Colorado Oil and Gas Conservation Commission, and Boulder County. Work with Boulder County to advocate in our favor. pads located to minimize impact on property values. pads located to minimize impact of construction and well production traffic on local residential areas. a highest possible level of safe operation and monitoring during construction and production.